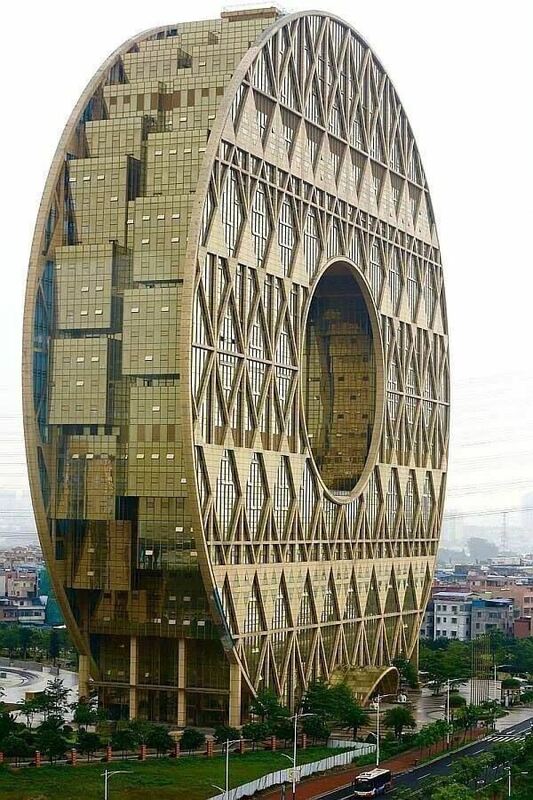 Guangzhou Circle (Chinese: 广州圆大厦) is a landmark building located in Guangzhou, Guangdong province, China. It is the headquarters of the Hongda Xingye Group  and the new home of Guangdong Plastic Exchange (GDPE), the world largest trading centre for raw plastic material with more than €25 billions euros of annual turnover in 2012. Isn’t Epcot Center Death Star shaped? For anyone wondering… This building is the Polo mint HQ which is located in the city of Ankh-Morpork.